As you are both well aware, 2012 marks an important time in the "lives" of your companies' most enduring characters. 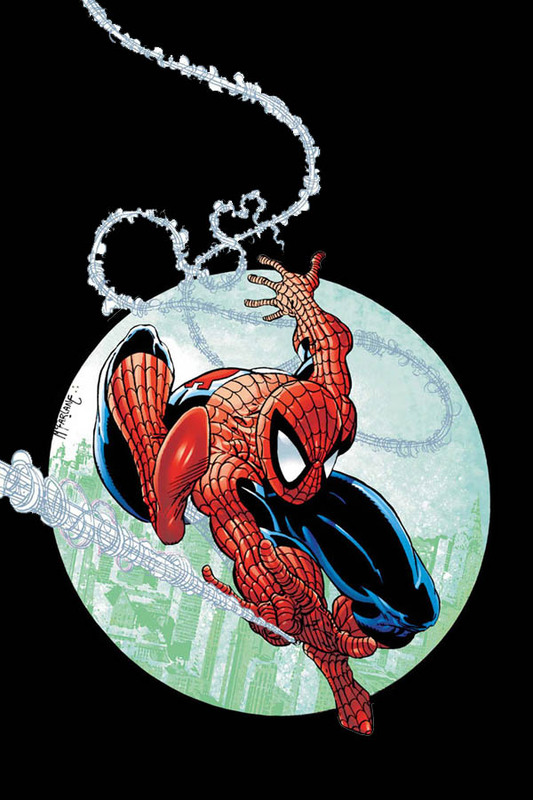 Spider-Man was created by Stan Lee and Steve Ditko 50 years ago in the burgeoning days of of Marvel Comics with its eye toward more realistic super-heroes. Todd, you created Spawn 20 years ago during the explosion of creator-owned sentiment that was Image Comics' raison d'etre. Since then, both characters have enjoyed significant success, be it Spawn's HBO series or the 1997 movie; or Spider-Man's various animated series and 70s live-action TV series and movies throughout the last decade. Spawn #220 recently hit comic shops everywhere, celebrating the 20th anniversary, and in August, Marvel will release Amazing Spider-Man #692, which does the same for his 50th. Although I know it's far, far too late to do it this year, I think you should really put your heads together and produce what we all know would be the premier comics--nay, pop culture event of 2013. While 2012 marked the anniversaries I outlined above, 2013 will be the 25th anniversary of Todd's first work on Spider-Man, a character whom I daresay he changed forever by infusing his unique sensibilities into his design. I imagine, during the 43 issues Todd drew between 1988 and his exit from Marvel in 1991, he turned many a teenage boy (or girl!) into a devoted Spidey fan for life. There's not a creator working on Spider-Man today who doesn't owe something to Todd's work. If you don't believe me, just look at the character's bigger, buggier eyes and the mess of webbing from head to toe and spitting forth from his web-shooters. Arguably, there are two truly huge names among Spider-Man artists. One is Steve Ditko; I hope I don't have to tell you the other. Spawn started out terrifically in the your hands, Todd. You soon ceded your artistic designs to Greg Capullo, who paved the way for Angel Medina even as you lent the writing reins to your colleague Brian Holguin, who then passed the torch to others. In spite of all this, you've always returned to the character and shown a heartfelt passion for Al Simmons, Terry and Wanda Fitzgerald, little Cyan, and even Malebolgia, Violator, Angela, Cagliostro and others introduced during the early part of the series. Jim Downing, the new Spawn, has continued to develop since his introduction, growing on fans who miss Al most fervently. In spite of your immense and consistent popularity with comic fandom, I respectfully offer that it's important to reconnect with your roots. There are entire generations of younger comics fans who don't know the enthusiasm with which we fans who were around in the late 80s and early 90s grabbed the newest issue of Amazing Spider-Man or your Spider-Man. There are younger people--a few generations of them by now--who are only familiar with your work as Spawn's creator, or as the guy who bought Mark McGwire's baseball, or the guy who directed a music video or formed a video game studio with Curt Schilling and R.A. Salvatore. Only because of Marvel Comics' relentless graphic novel program do many even know you once, long ago, drew Spider-Man. Axel, you've done some terrific things in your decade-long career with Marvel Comics. You stepped in when Joe Quesada renovated the company and drove such unique efforts as Peter Milligan and Mike Allred's X-Statix as well as J. Michael Straczynski's Amazing Spider-Man and Bruce Jones's Incredible Hulk. You've also brought various crime writers to Marvel, and helped to start the MAX mature readers label. In short, you've taken chances with Marvel's properties just as often as you've put out crowd-pleasing fare such as the current line-wide event, Avengers Vs. X-Men. Marvel Comics and Image Comics have both had their share of successful inter-company crossovers, but Marvel hasn't stuck its feet in the water since the deal with Top Cow which produced books like Darkness/Hulk (which reunited Dale Keown with Marvel and the character with whom he was most often affiliated) and Cyberforce/X-Men (ditto for Marc Silvestri). The last crossover Marvel did with any other company was 2008's Magdalena/Daredevil. 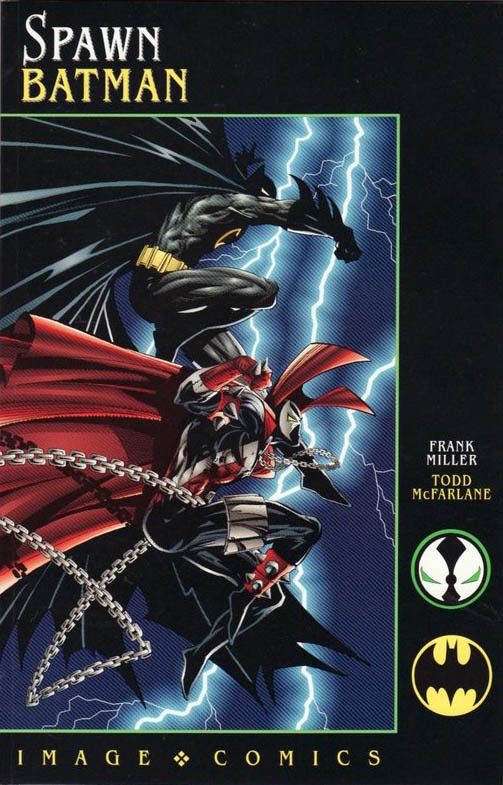 Todd, you've been stingier in letting anyone else play with Spawn, letting him briefly pal around with Batman in a duo of one-shots, one of which you illustrated while comics legend Frank Miller wrote it. It wasn't bad, but at the same time, I don't believe it ages particularly well, nor do I think fans were as enthusiastic about a crossover with a character you rarely drew (in Mike W. Barr's excellent Batman: Year Two) as they would have been about a story involving a character you--let's be honest--revolutionized. 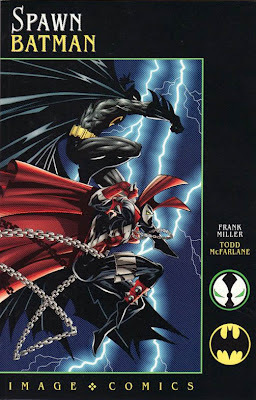 And there was another Batman/Spawn project brewing, but there has to be one damned good reason why it never happened. It's the perfect time for the drought to end on both your sides, and you know it. 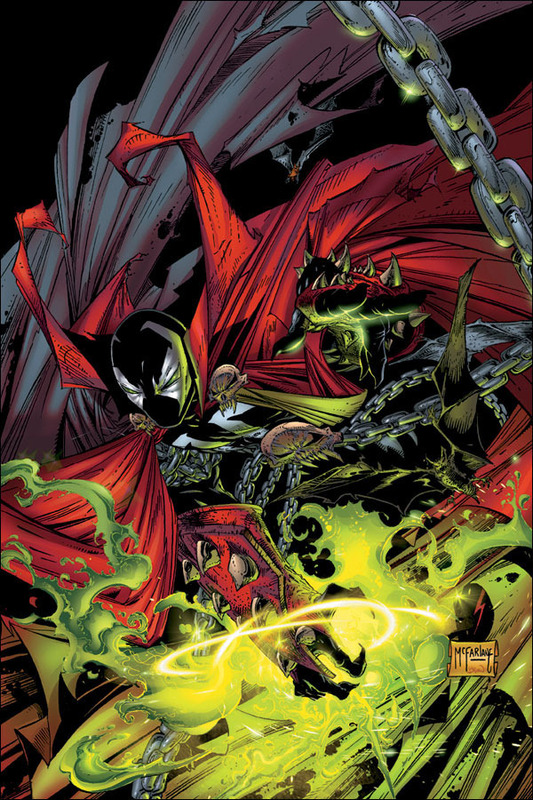 While Batman and Spawn certainly have certain characteristics in common, it would no doubt be fascinating from a character point of view to bring Spawn into conflict with Spider-Man, a character who is his polar opposite: a hero of the daylight hours who fights with a web and a quip instead of a creature of darkness who uses chains and hellfire. 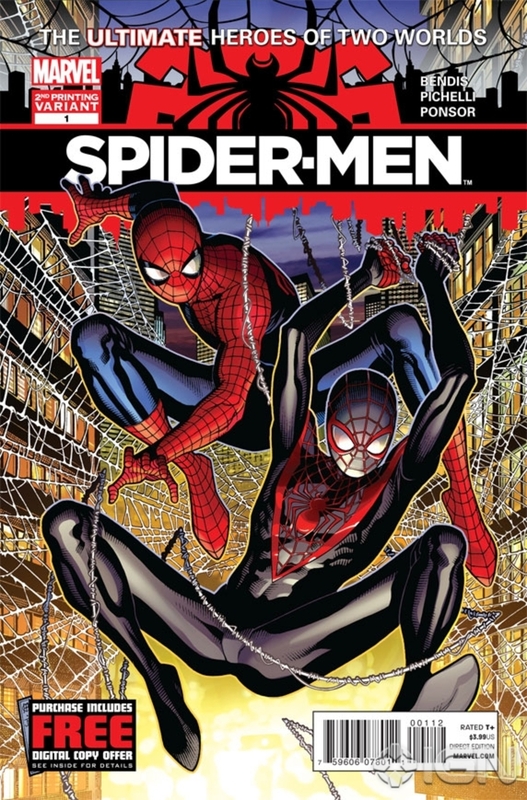 It certainly wouldn't hurt to have the whole thing drawn by the man who, with the exception of a cover for the Ultimate Spider-Man #100 Project, hasn't drawn the character that put him on the map for two decades. You know also that the project would entice the reading public--fans both old and new--like nothing that Marvel, Image or any other company has created since the formation of Image itself. And I'd imagine such a project would require the largest available canvas. Give the project the gravitas it deserves, not as a mini-series with an inevitable graphic novel collection at the end of the tunnel, but as a Treasury-sized spectacular like the super-project Superman Vs. the Amazing Spider-Man and all their ilk. 64 pages? 80? 100? Doesn't matter. Precious few projects have debuted in this superlative format in recent years, and fewer still have actually deserved it. 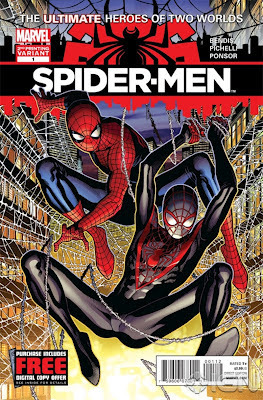 Not only would comic readers get to see Todd McFarlane drawing Spider-Man again, swinging alongside his own creation for the first time ever; but they'd also see it in a large format actually befitting the event! I'd also make one final recommendation to sweeten the pot. Everyone knows that you, Todd, have championed creators' rights since you left Marvel. Axel, I know that you and Joe Quesada have worked to establish the good name of Marvel through your works with the Hero Initiative charity. I would suggest the project be created in tandem with the Hero Initiative, with a significant amount of the profits going to the program and the creators it helps. Maybe you don't even have to go that far; maybe if each of Todd's art pages were auctioned off for the Initiative, like the covers contributed to the various "100 Projects" year in and out, that would be a blessing in itself. Put some space in the back and let various "indie" creators draw pin-ups of Spidey/Spawn or their own creations in the back. Make the project all about creators' rights, about benefiting those in need. Work out the reprint rights for subsequent printings and ensure this project is the gift that keeps giving, while you're at it. Who would write this gem? It's one thing worth discussing. Certainly Marvel elite writer Brian Michael Bendis has the "cred" to script such a gig. He's earned it through working on Spawn and his cast in Hellspawn and Sam & Twitch as well as Marvel's in Ultimate Spider-Man and now the super-project Spider-Men. Certainly another name I'd put up there in an instant would be regular Amazing Spider-Man writer Dan Slott, who knows his way around web-head and could certainly bring well-textured life to a project that needs big action, spot-on characterization and big action set pieces. On the other hand, there's dark horse candidate J.M. DeMatteis, whose work shows both humor and psychological complexity and who does exceptionally well with the duality of good and evil. You can play fast and loose with the concept, too. If you think it's worthwhile to take a trip back in time, to when Spidey was still married to Mary Jane like in the Michelinie/McFarlane originals, so be it. If you want to use Al Simmons instead of Jim Downing, so be it! If you want to involve Venom and swap his symbiote with Spawn's K7 Leetha, make yourselves happy! If you'd rather have it take place in the here and now, I completely understand that desire, as well. I've made my thoughts known, gentlemen. It's time to make your voices heard. Whether or not you like this idea, or even see it, I think there can be no overstating the potential good a Spider-Man Vs. Spawn project can do for the industry.